Over time the rollers wear out and need replaced. Waimak Window and Door Repairs carry a wide range of replacement rollers to and get things sliding and gliding again. If worn out rollers are left too long, they might damage the track they slide along, so even with new rollers, the door may slide unevenly. If that’s the case, we can repair or replace sliding door tracks as well. 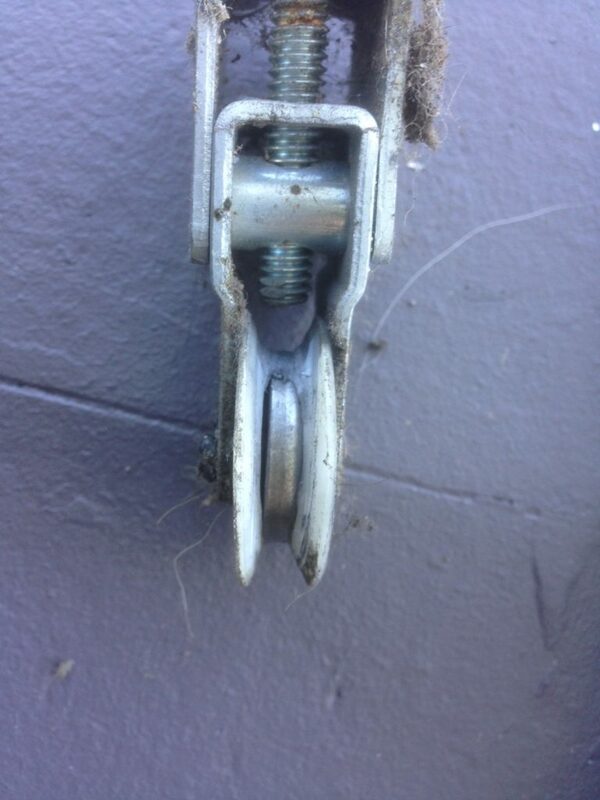 Here’s a nylon roller that’s seized up and worn through to the steel bearing. This will grind away on your track every time you slide the door. Often Aluminium Hinged doors will sag over time, usually scraping against the bottom of the frame as you open and close them. We can realign your drooping doors and get them sitting snugly back in the frame. 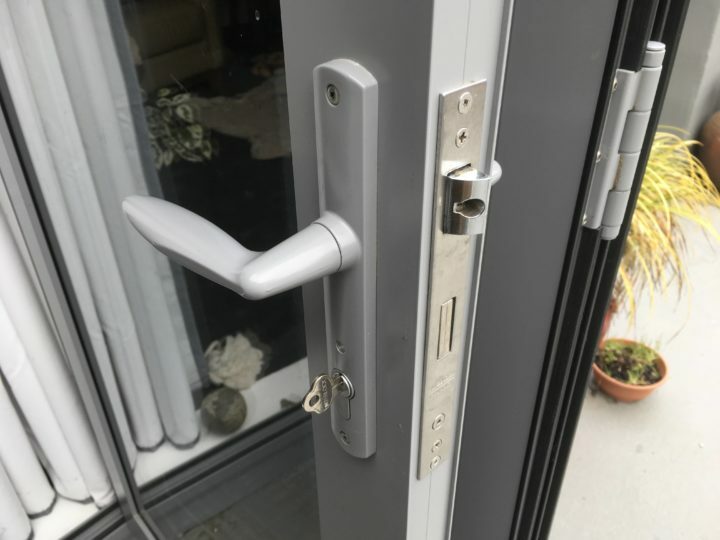 We replace hinges damaged from wear and tear or misuse. Flush bolts are rods at the top and bottom of your French doors and bifolds that lock the swinging door in place. They can often get caught within the door frame which can sometimes be an easy fix just by adjustment. Other times the Rod can be broken off meaning replacement is necessary. 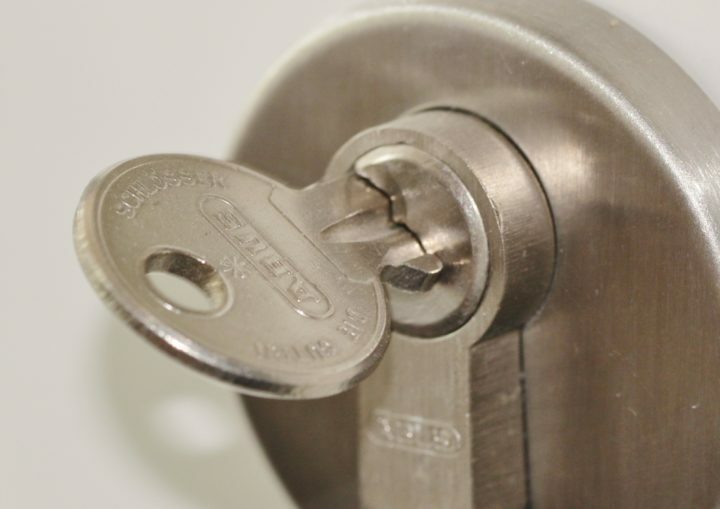 Whether you need your whole lock replaced, or just a new barrel, we can do that too. Perhaps you would like only one key to operate all your doors? We also install deadlocks which are a great deterrent for burglars and may qualify for a rebate from your insurer. Due to their lightweight nature, screen doors sometimes require tightening up. We also replace rollers for these too. We can fix rollers and tracks for your internal doors as well.